A good backup copying software application has to be quick, simple and include the most necessary options. Exactly what Handy Backup offers. This program is really simple and offers us from copying the contents of a folder to a flash unit every certain amount of time to compressing the directories that we choose and uploading them to an FTP server. 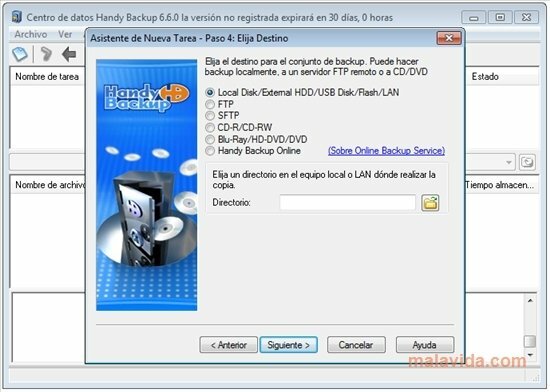 Carrying out programed backups is something that many users don't appreciate, but that can come in very handy, because many hard drives become corrupt, or the operating system stops working. Thanks to Handy Backup, this kind of problem will no longer mean losing files. As soon as we notice the slightest error, we can restore it, and that's it. Guarantee the availability of your data wherever you are. 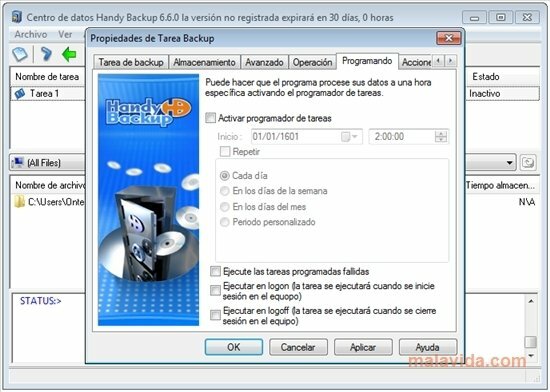 The configuration of the backup task is very easy, with a simple assistant that will ask each and every one of the details that are required depending on the options that we select. 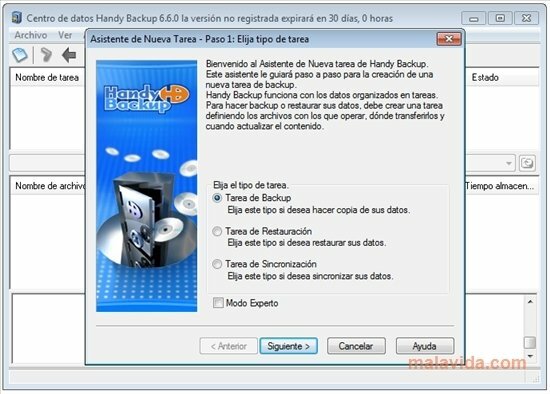 Handy Backup is perfect to always be open and copying the files that we think are essential. Handy Backup allows you to save the mail from your favorite mail manager (Outlook, Windows Mail or Thunderbird) and supports plug-ins that will add functions regarding certain applications like Skype, Photoshop or Yahoo! Messenger, functions that are really worth considering.